How does zero or less waste make me more organized you ask? Ahhhhhhh, what a good question! A part of reaching zero waste is recycling. Recycling means having different bins—which I hate because it can appear cluttered and I have written in the past about not buying storage bins . We have repurposed things we already have to use for recycling but the big thing about zero waste is to consider what you buy. But recycling is not the key to zero waste because it still creates a demand for new items. By really stopping and thinking about what I accept for free, and my purchases, not just food, I am able to control what comes into my home. When you are careful about what comes in, there is less to take out. This is a step to being organized. It also reduces waste. It not only reduces your waste to go to https://www.catalogchoice.org/ and have them remove you from unwanted mailings. It reduces your personal clutter since it doesn’t enter your home. You will save trees and resources and also means that you have less paper to take to the recycling bin outside. Admit it, you have a bag of bags. Every week when you go shopping, you add to the collection and it is growing and is getting hard to store. 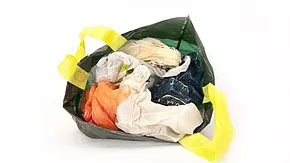 Well, by having ten bags that I reuse, ( I like the nylon bags from ecobags) I save twenty plastic ones that will rip, usually cannot be recycled or reused and save space because I don’t have a growing bag of bags. Of course, I have a small bag of bags but it doesn’t grow and it is easy to manage and lives in my car! 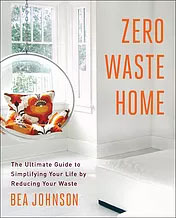 Zero waste and organization go hand in hand because they allow you to not only turn single use items, Unitaskers, into multi-use items so you have less stuff around, they also minimize the need for Unitaskers that stick around and create clutter. What are some unitaskers you have that you can eliminate? Let me know in the comments.